A dual-action exfoliator formulated for oily, congested or blemish-prone skin that improves the look of fine lines, texture, discoloration, and pores for a smoother, younger-looking complexion. The first step in The Lancer Method, this retexturizing treatment targets the first signs of aging to reveal fresh, glowing skin in one use. Developed for oily, congested or blemish-prone skin, the advanced formula combines enzymatic and physical exfoliants with oil-minimizing agents, promoting a more even and healthy-looking complexion. Pumpkin and Pomegranate Enzymes gently exfoliate and dissolve sebum while Magnesium Crystals buff away dead cells, improving the look of skin texture and fine lines. Formulated with Lilac Stem Cells and BHA, it also helps to refine the look of pores, leaving the skin feeling smooth, soft and renewed. 98% agreed skin looks smoother. 96% agreed skin feels smoother and softer. 96% agreed skin feels healthy. 94% agreed skin feels resurfaced. About:Formerly known as The Method: Polish Blemish Control, this product has a new name, but with the same great formula. 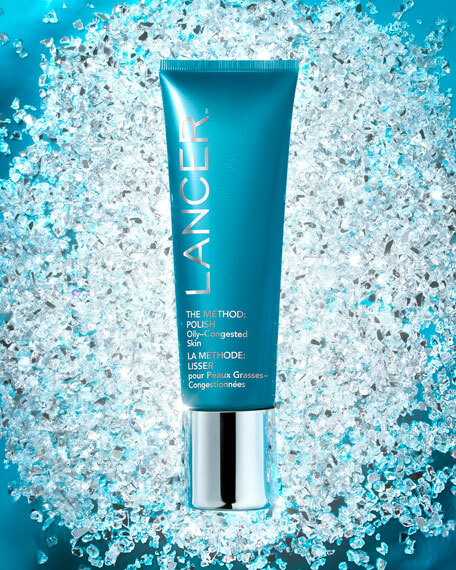 The Lancer Method for Oily and Congested Skin is Dr. Harold Lancer's signature regimen of daily exfoliation, cleansing and nourishing the skin. This collection is infused with a trio of skin balancing ingredientsTea Tree Oil, Lilac Stem Cells and BHA to improve the look of skin texture and minimize excess oil for a smoother, refined appearance. Ideal for oily complexions with enlarged pores, uneven skin texture, and blemishes, this product should be used in synergy with Cleanse and Nourish for optimal results. 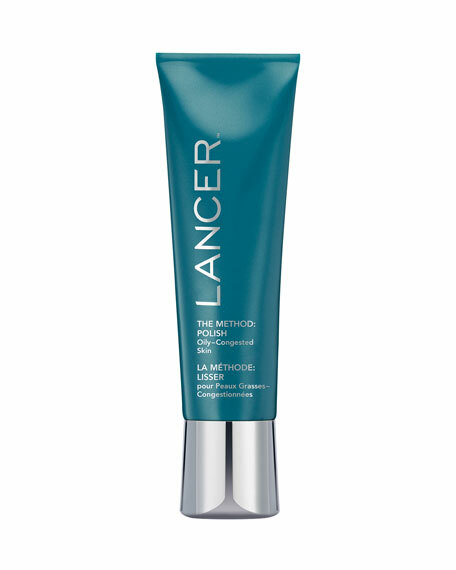 Together, the three steps of The Lancer Method dramatically improve the appearance of fine lines, texture, discoloration, and pore size, revealing a radiant, youthful-looking complexion. Dampen the skin on your face, neck and décolleté with warm water. Apply a small amount of product on your fingertips and gently massage over the face, neck and chest in small circular motions. 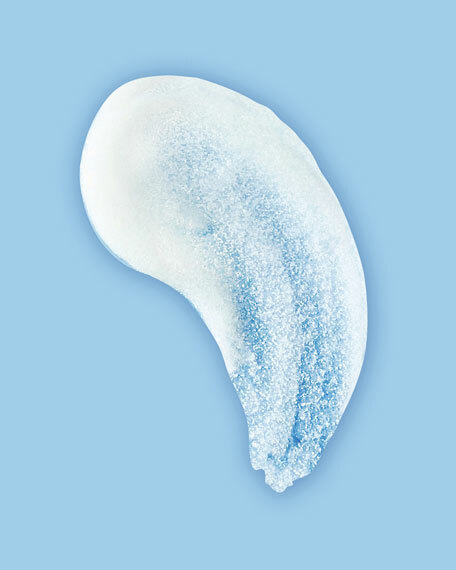 Rinse thoroughly, then follow with The Method: Cleanse for Oily and Congested Skin (sold separately). The secret to using The Method: Polish is to be very gentle. Let the product do all the work and use very little to no pressure when massaging the product over the skin for best results. If you are new to skin exfoliation or haven't done so for awhile, ease into the polishing routine by exfoliating every other day until your skin adjusts and then work up to every day. Butylene Glycol, Sodium Bicarbonate, Magnesium Oxide, PEG-8, Glycerin, Oleth-20, Trihydroxystearin Silica, Glyceryl Stearate, PEG-100 Stearate, Lactobacillus/Pumpkin Ferment Extract, Syringa Vulgaris (Lilac) Leaf Cell Culture Extract, Lactobacillus/Punica Granatum Fruit Ferment Extract, Leuconostoc/Radish Root Ferment Filtrate, Hydrolyzed Algae Extract, Lavandula Angustifolia (Lavender) Oil, Mentha Piperita (Peppermint) Oil, Helianthus Annuus (Sunflower) Seed Oil, Retinyl Palmitate, Tocopheryl Acetate, Salicylic Acid, Water (Aqua), Maltodextrin, Sorbic Acid, Linalool.